The hotel is a modern 5 story building with one level of public space and 5 levels of guest rooms. Including a total of 178 rooms with some that will look towards the Disneyland Resort with views of the nightly Disneyland Fireworks. The two story atrium and gallery will look out towards a beautifully landscaped circular drive and hotel entrance. 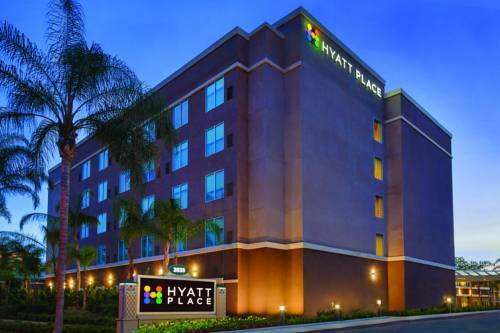 The hotel is located just 1-1/2 blocks to the Disneyland Resort Parks entrance as well as the Anaheim Garden Walk and is just about a 5 minute walk to the beautiful Anaheim Convention Center. The hotel is centrally located in Anaheim, Orange County with San Diego just 90 miles to the south and Los Angeles/Hollywood/Beverly Hills just 30-40 miles to the north. Just 31 miles to LAX, Los Angeles International Airport northwest of the hotel and LGB, Long Beach Airport, just 17.5 miles. PET POLICY: Only Service animals are accepted. A $250 non-refundable cleaning fee will be charged for any pets discovered in the hotel, other than service animals. Cancel by 4pm hotel time 48 hours prior to arrival to avoid 1 night room and tax penalty.